Bridgestone Firestone - names you can trust. 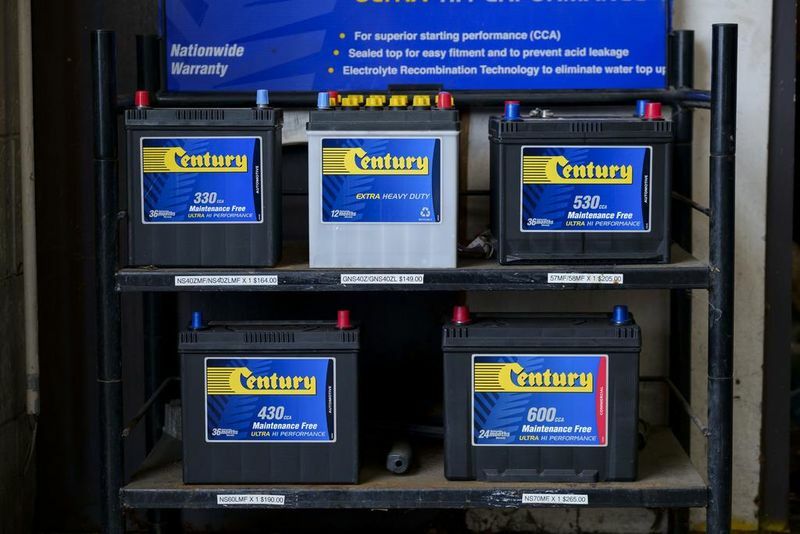 Forbury Service Centre in Dunedin stocks Century Batteries. Forbury Service Centre in Dunedin stocks a wide selection of Bridgestone/Firestone tyres for your car, ute and 4WD vehicle. A good quality tyre will give you better performance than a cheaper import in critical safety areas, such as wet weather braking and road holding. Our durable tyres have been crafted to meet the latest comfort, style and safety. We can fit and balance new tyres, rotate your existing tyres and repair punctures. Our battery testing is free and we will fit you with a new battery if you need a replacement.